Join the gringa in a read-along of the end of Chapter 4 from “The Meanest Doll In The World”, by Ann M. Martin and Laura Godwin. Will Annabelle and Tiffany safely return to the backpack in time? Join the gringa as we begin chapter 4 of “The Meanest Doll In The World” by Ann M. Martin and Laura Godwin. Tiffany and Annabelle manage to scramble down from the backpack shelf and begin to explore. 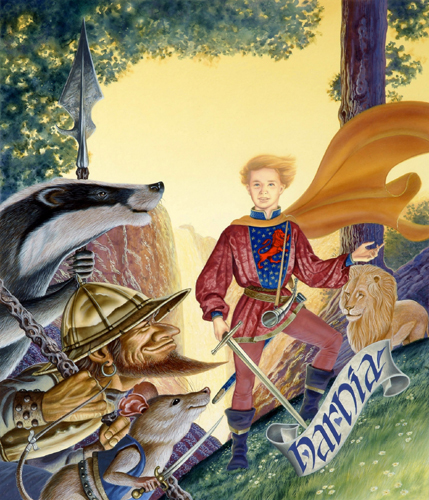 We continue the story of “Prince Caspian”, book 4 of “The Chronicles of Narnia” by C. S. Lewis. Nikabrik’s treachery is revealed and a battle ensues. Who will make it out alive? UFO and alien conspiracy theory buffs are going to enjoy this post by the gringa, or not. I guess it depends on if you enjoy a healthy dose of conspiracy debunking or truth. You see, dear readers, there has been a bit of hubbub about an interesting space object that is orbiting a nearby star and was detected by the Kepler telescope late last year. The SETI Institute (Search For Extraterrestrial Intelligence) calls KIC 8462852 “mysterious”. 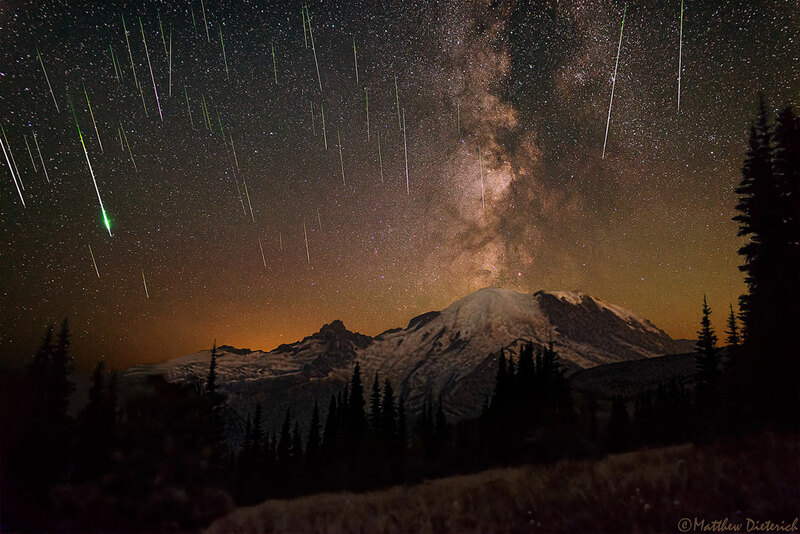 NASA believes the mystery is resolved with the theory that the strange signals are the result of cosmic dust, probably from multiple impacts of a comet swarm, and causes the star’s light to flicker erratically. Vanderbilt University researchers, who affectionately call the star Tabby, debunk theories by those who believe it to be home of aliens who are very, very busy. The astrophysicist contributors to the respectable Astrophysical Journal agree with Vanderbilt’s point of view while at the same time agreeing with theories from other scientists who propose an extraterrestrial origin theory. So, who’s got it right? Who’s got it wrong? Just what the heck is the truth about Tabby? Tabby is officially designated star KIC 8462852 and shines brighter than our own Sun about 1400 light years from Earth in the Cygnus constellation. It is a subject of study by NASA’s Kepler space telescope which reveals that from time to time it dims about twenty percent in brightness. The cause of the dimming light could possibly be because of material or objects orbiting the star. SETI researchers believe they have evidence to determine that these objects are not planets. SETI considers the possibility that Tabby could be home to a technologically sophisticated society that has constructed a swarm of solar panels that orbit the star which would account for the light fluctuations. SETI uses its own Allen Telescope Array to study radio signals that originate from that part of outer space. They attest that these radio signals are of artificial origin, calling them “non-natural”. They search for narrow-band signals and broadband that might possibly be produced by a large and powerful spacecraft. They also search for evidence of laser pulses. SETI’s Panamanian partner, Boquete Optical SETI Observatory, performs the laser pulse research. Research such as this takes a long time so the gringa will have to practice patience for SETI to conclude their studies and publish their final results. They admit that, historically, cases like this usually result in finding a natural cause for the anomalies but they still must investigate the possibility of it originating from extraterrestrial intelligence. That is, after all, their mission. During four years of observation, the Kepler mission recorded strange happenings in 2011 and 2013 when interesting and dramatic light fluctuations occurred. To help determine what happened, NASA also trained the eye of the Spitzer Space Telescope in Tabby’s direction. Kepler observed the visible light. Spitzer could delve deeper into the invisible infrared light signals and patterns. In November of last year Spitzer paid off with a recording of another light fluctuation. Although NASA’s theory is that clouds of space dust were formed from a swarm of comets that orbit the star in erratic patterns, Spitzer did not discover evidence to support this theory. This caused NASA to switch to a cold comet theory. One lead comet would be followed by a swarm of smaller comets. If this is true, even if the comets were already out of the telescope’s view as they traveled around Tabby, they should still leave behind a detectable infrared signature. However, this was not the case. Researchers admit that more observations need to be recorded to determine just exactly what is going on. NASA admits that Tabby is strange, indeed. However, they believe that a natural cause is more likely than “little green men”. Vanderbilt studies focused on the 100 day period when the most significant light fluctuations occurred. The manner in which they occurred suggested that a large number of “irregularly shaped objects” passed in front of the star causing its light to be blocked temporarily. Working off a report from an astronomer at Louisiana State University who concluded that the star had diminished in brightness by 20 percent over the past century, Vanderbilt finds a natural cause unlikely as an explanation for this. This has become fodder for the theory that a megastructure has been constructed that is absorbing the star’s energy, the solar panel array theory. This is a theory that was reviewed, accepted and published by the Astrophysical Journal. Vanderbilt, however, did not stop there. They soldiered on. Partnering with amateur German astronomer, Michael Hippke and NASA scientist Daniel Angerhausen, the team began comparing the 20 percent drop in intensity to other stars. They discovered that this is not an unusual phenomenon. In fact, it’s not a star phenomenon at all. It is simply the result of technological changes and advances of human manufactured instrumentation for observance. Until then, Tabby will be the most interesting and mysterious star in our night sky.